In this book you will find the stories of athletes, boxers, tennis players, footballers, cyclists, rugby and basketball players. 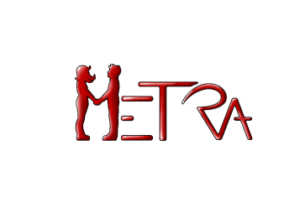 It deals with victories and defeats, difficulties and obstacles to overcome, but also with ideals, values, struggles for rights and the freedom to be oneself and to be respected. Because in this book you will not find the usual champions. They are heavy weights, with muscles, heart and brain. 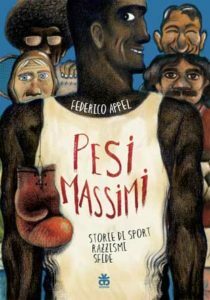 The point of this finely edited graphic novel, reissued in colour but always using a highly legible font, Leggimi (read me) graphic, is all enclosed in the subtitle: stories of racism, sport, and challenges. It is not, in fact, yet another book for boys focused on sporting skill, but rather a more ambitious project that combines a passion for sport with nobler and more important challenges in the name of civil rights, against prejudice linked to race, gender or more generally to diversity (e. g., illness). Thus, the stories of Muhammad Ali, Duke Kahanamoku, Jesse Owens, Gino Bartali, John Carlos, Tommie Smith and Peter Norman, Carlos Caszely, Socrates, Arthur Ashe, François Pienaar, Vlade Divac, and finally, the only woman, Cathy Freeman shows readers how the sport world, thanks to its visibility and political relevance, can be invested with a strong symbolic power, capable of unhinging the injustices and inequalities in the world. Just think of the podium on which John Carlos and Tommie Smith climbed barefoot, to symbolize the poverty of black people and the struggle of activists, or that which Cathy Freeman climbed on, herself also barefoot, to say that the Aboriginal people have a special relationship with the earth, but also that the land belongs to everyone. This is a really good novel recommended for boys and girls; it invites us to overcome the idea, unfortunately still widespread, that reading is intended only for readers of the same gender of the protagonists represented.